Performance cars do not win car shows and show cars do not win races. It's up to you to decide which you'd rather win. I don't miss selling mine, i do miss the truck however. but the new focus is nice and a great daily driver for the family so all is well. I wonder how many years it has been since I have posted? Howdy all! J free for 5'ish years now I think? For sure there are days I miss my car...but then I remember the maintenance, noise, rough ride, and lack of power and I don't miss it nearly as much. Very nice ans interesting place comme after dinner to read yours questions or comments. Oh... are we doing another round here? Been registered since the day I bought my Z in 05 but I have been around since 03 when by bro got into J's. He is probably the reason I have a J, without his influence I would have gotten an Integra or something. Good thing you didn't. I mean... a GSR or a Type-R would have been good fun, but it would have been stolen by now, along with it's replacement, and now you'd be too disheartened to care about cars at all. It's been a long time since I've been here. I not much changed. Been registered since 02 but my profile says 2009?? Did I miss a reboot of the site or something? Holy bejebus... this is still up and going. Almost 8 years since my first post in this thread. And I was an old timer back then!!! Come April, I'll have had my sunflower 8 years! Holy mother of god!!! But I can't complain, every year it just gets better and better!!! Although its still kinda sad how much the .org has died in the last couple of years or so. I'll still be here forever though. Currently #4 in Ecotec Forced Induction horsepower ratings. 505.8 WHP 414WTQ!!! Currently 6th quickest Ecotec on the .org -12.453 @ 116.45 MPH!!! Wednesday, June 9, 2010 was my "official" join date, but had a cavalier since 2007 and lurking here since early 2008. I am sure I am still a noob. (compared to that guy above me) I still call this forum my home though. I joined in 99. Sold my cav in 01. I regretted selling it. I recently picked up a new to me 04. Dave - if this was 2004 we would have flamed you that your celebration WASNT Wings and Rimzzz! I just mentally counted backward and... man have I been here a long time. I just took the cover off Sweetness on Saturday to do a fitment on a few parts... someday this summer I'll hook up the battery to turn on my awesome blue underglow just to remember what it was like to be 22 again... lol. To this day I don't care what anybody says, I love them on that car. It's def sad how much this forum has died. I used to hit refresh and every 40 seconds every forum had a new post in it. Now... not so much. Don't worry brother... we're all growing old together here. Speaking of doing fitment on a few parts... 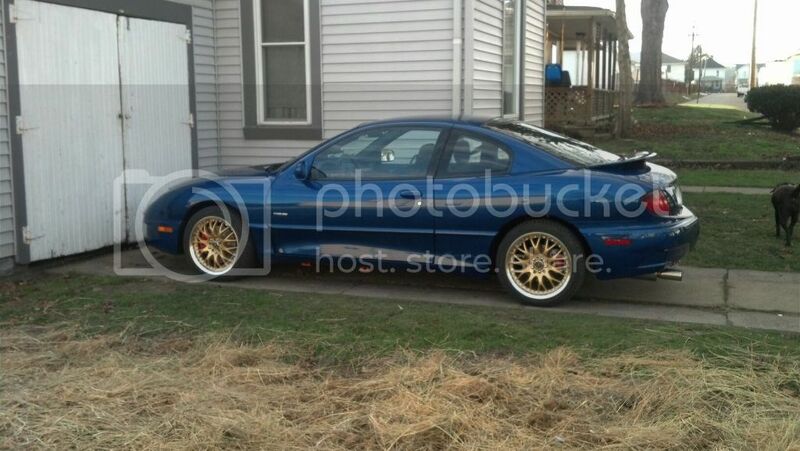 I'm setting up to put an electric blower on the Sunfire. Gearing up for an epic flame war in the boost forum... just like old times!! Ive owned more cars than I care to admit (even less afraid to admit how many j's) but yet this damn car I cant let go of. 2012 numbers - 4SPD AUTOMATIC!! Andy - I literally remember the Thread you started when you named the car sol and brought it home and almost immediately began to mod it!!! Seems like yesterday but... I guess it wasn't. Yeah I wasn't gonna mod this one too much... Ten years later I guess I was wrong.